Wow! 1574 Sylvan Drive is a spacious 1 story home surrounded by approximately 12.09 acres in Hollidaysburg, PA! 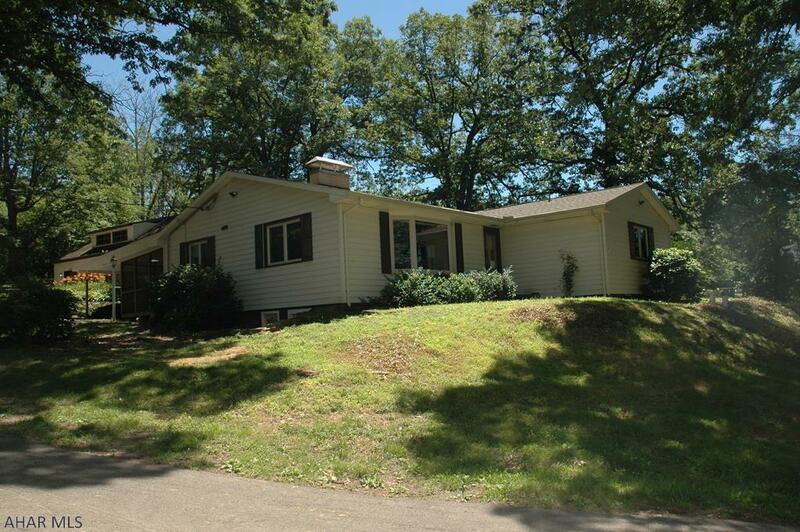 This Blair County home features 4 bedrooms and 3 bathrooms. This home is located in the Frankstown Township, in the Hollidaysburg Area School District, and is just 5 miles south of Altoona. With approximately 2086 square feet, this home has plenty of space for everyone. 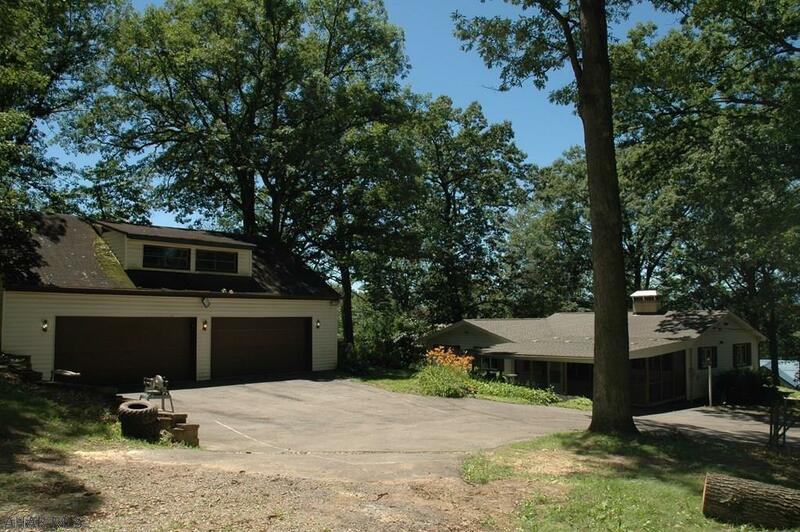 Not only does this home offer 12 wooded acres it also has a 4 car detached garage. Check it out! This kitchen is absolutely amazing! It offers a great amount of cabinet storage and counter space. It includes the range, refrigerator, dishwasher and microwave. 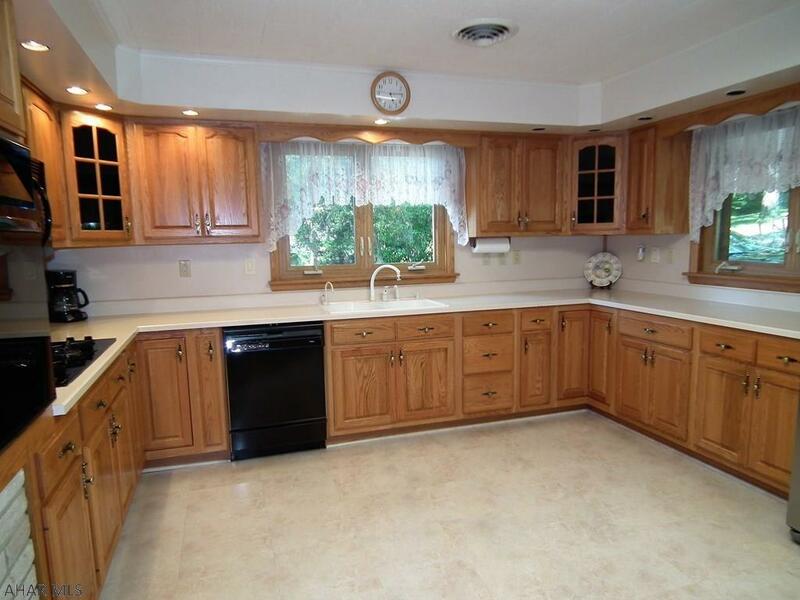 This kitchen is spacious and offers a large eat-in area. 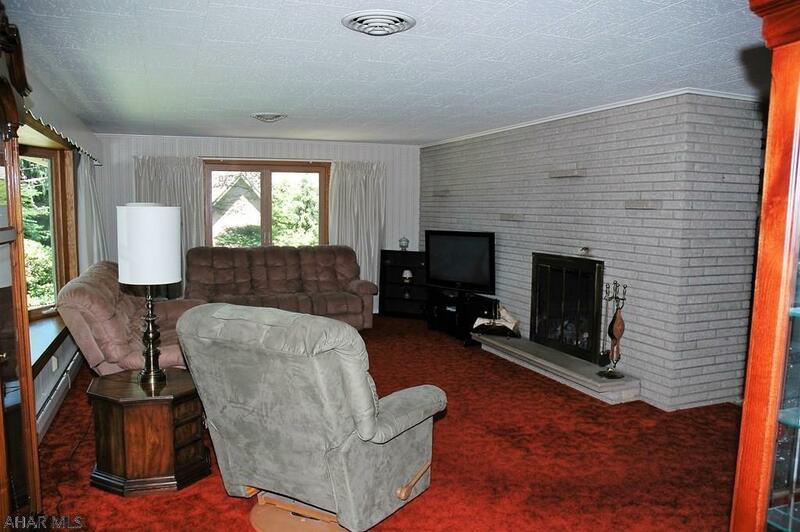 Enjoy relaxing in this spacious formal living room. The beautiful brick accent wall adds much character to this room. It features a gas fireplace (or it could be woodburning) which would be perfect for these cold winter days. This 1 story home has 4 bedrooms and 2 bathrooms all on the first floor. 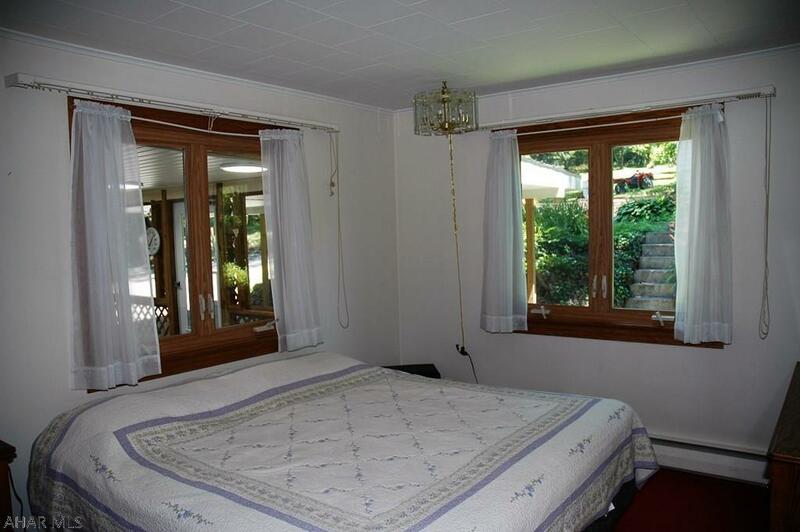 Each bedroom is spacious, bright and carpeted. The laundry room is also on the first floor which is very convenient. 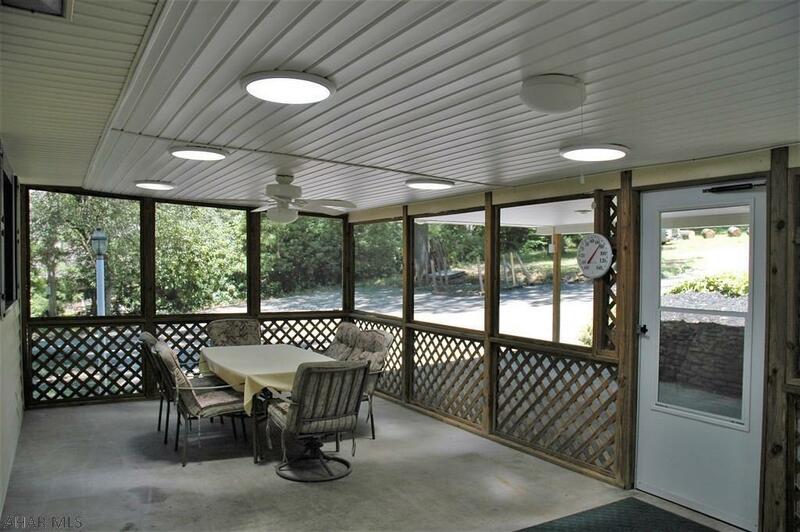 Grab a cup of coffee and relax in the screened in patio which is right off the kitchen. Need more room for hosting parties or even just for storage space? The full basement is huge and offers a finished family room with a wood burning fireplace and other possibilities. This 1 story vinyl siding home has a 4 car detached concrete block garage. This home is the perfect chance to relax and be surrounded by nature, yet close to modern conveniences! Best of both worlds! 1574 Sylvan Drive is a rare find in Sylvan Hills with so much to offer! Don't miss seeing this beautiful home. John Hill Real Estate-Matthew Evey- Broker and Owner, located in Altoona, Pennsylvania. Feel free to call or text me with any questions at (814) 934-0496.